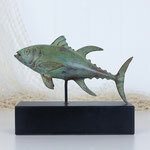 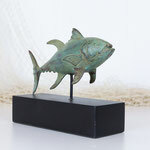 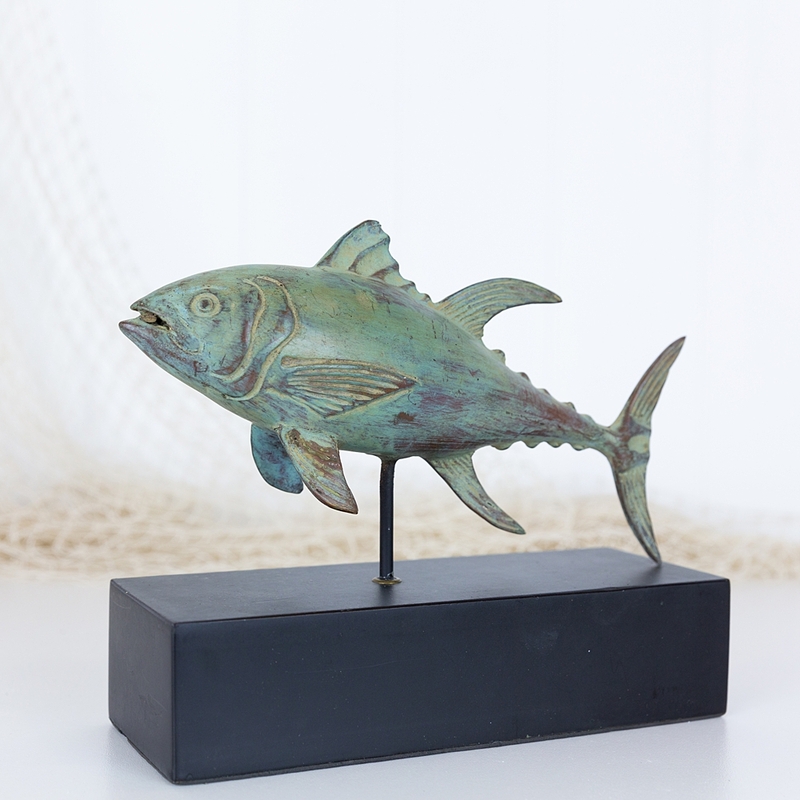 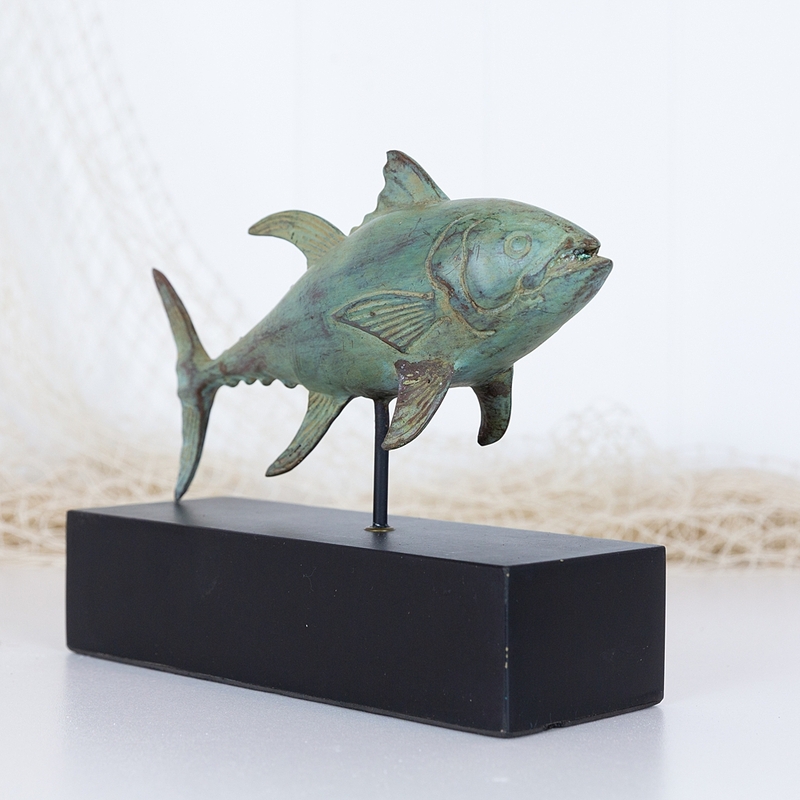 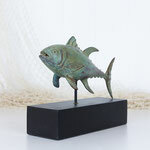 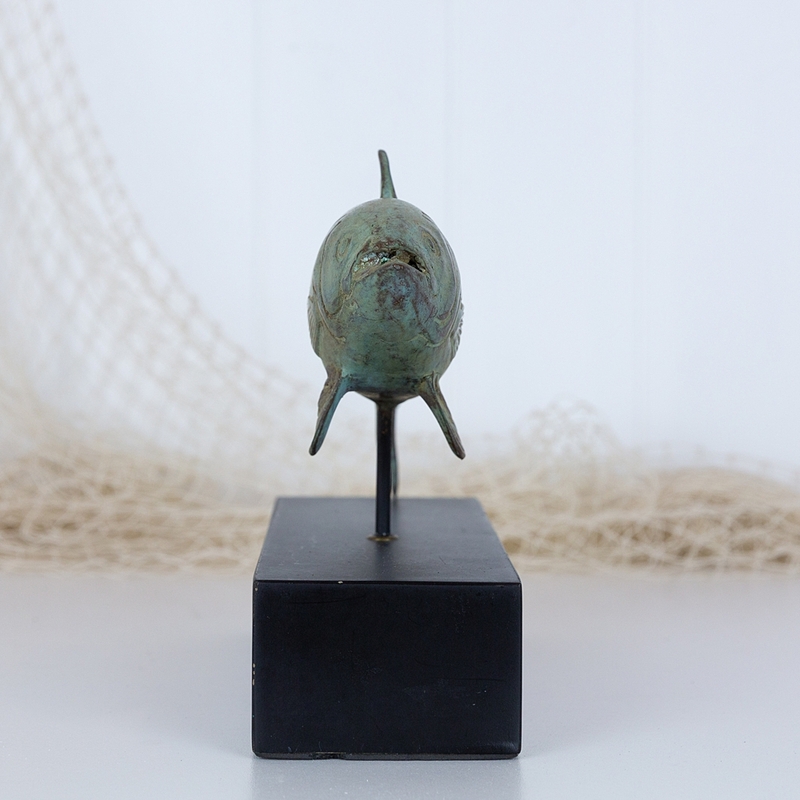 This detailed model of a tuna fish has been made from brass and given an aged appearance. 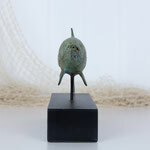 It has a wonderful green toned patina, and is sitting on a black stand. A great styling piece, it would work perfectly on a sideboard, shelf or mantel.